Star Trek - the original 1976 trading card series from Topps - Is reprinted here for the first time, featuring full-color images from all three seasons of the classic television series created by Gene Roddenberry, as well as episode synopses and biographical information on the cast and crew of the starship Enterprise. 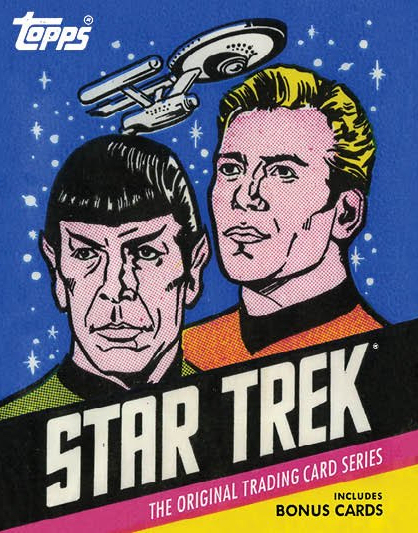 This first-ever compilation includes the fronts and backs of all eighty-eight cards and twenty-two rare and hard-to-find stickers (which were originally sold on per pack), as well as text and commentary by Star Trek insiders Paula M. Block and Terry J. Erdmann. Star Trek - the latest addition to the Topps series from Abrams ComicArts - Is guaranteed to please the die-hard Trekkie as well as a whole new generation of fans. 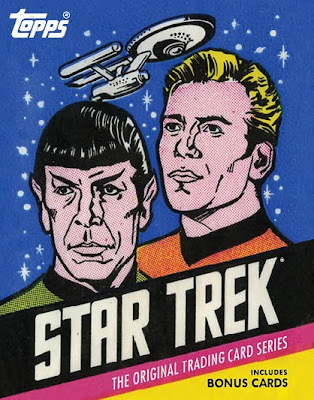 Also includes FOUR BONUS TRADING CARDS featuring Captain James T. Kirk, Lieutenant Nyota Uhura, Lieutenant Commander Mongomery "scotty" Scott, Ensign Pavel Chekov, and - making his trading card debut - Lieutenant Hikaru Sulu!